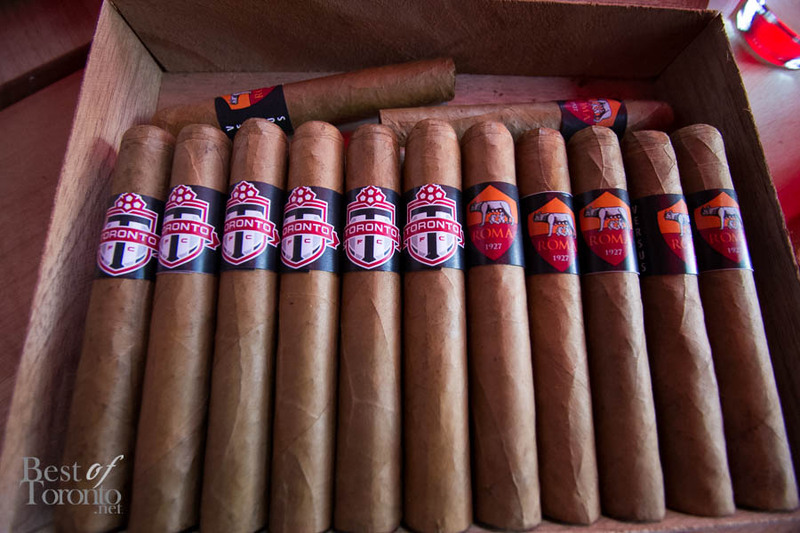 If you’ve ever been to a Toronto FC match you know how much spirit Toronto has at Toronto FC games. Fans really get into it and the energy is pretty intense. And it’s a special game tonight at BMO Field! 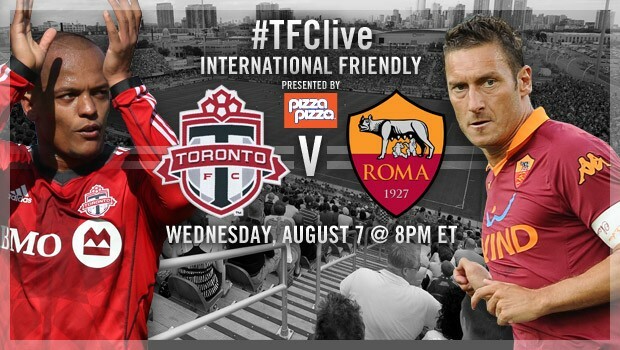 Toronto FC hosts the world famous Italian football club AS Roma in a friendly match on Wednesday August 7th at 8pm. 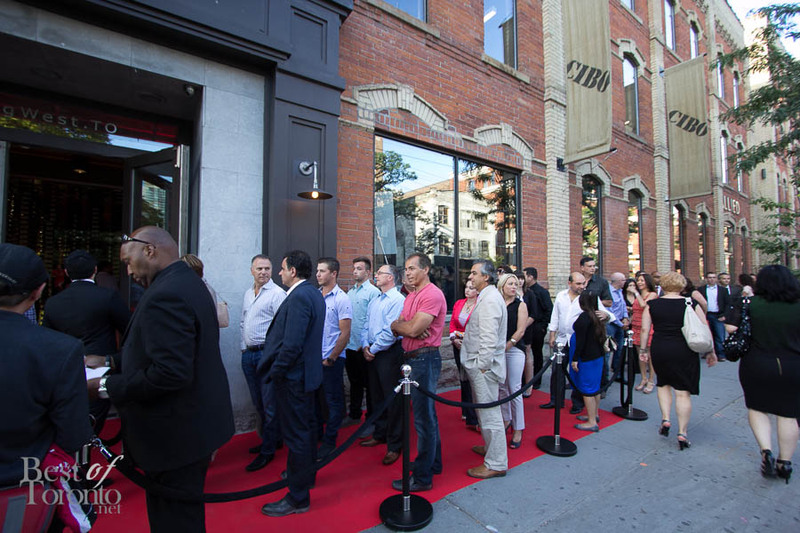 Ahead of tonight’s game, I got a chance to be at the reception to rub elbows with both teams at the new Cibo wine bar on King West (at the corner of King St W and Brant St. next to Brant House). 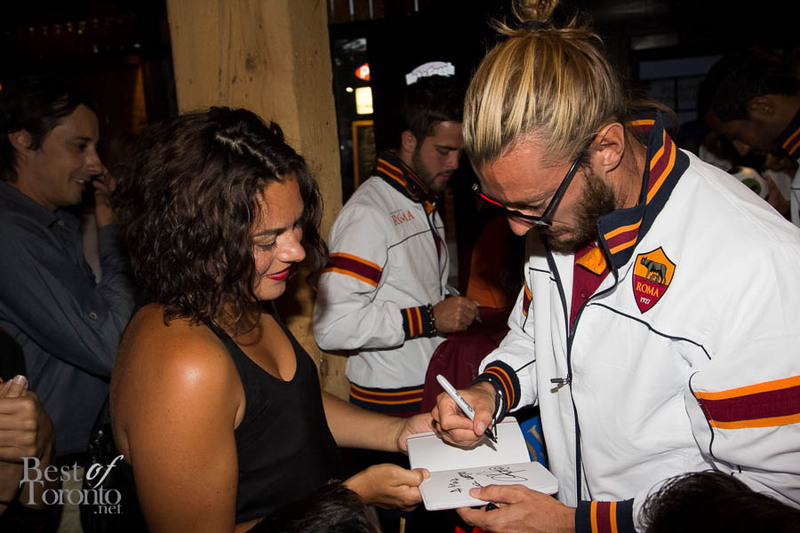 It was a jam packed frenzy as guests got photo ops and jerseys signed. 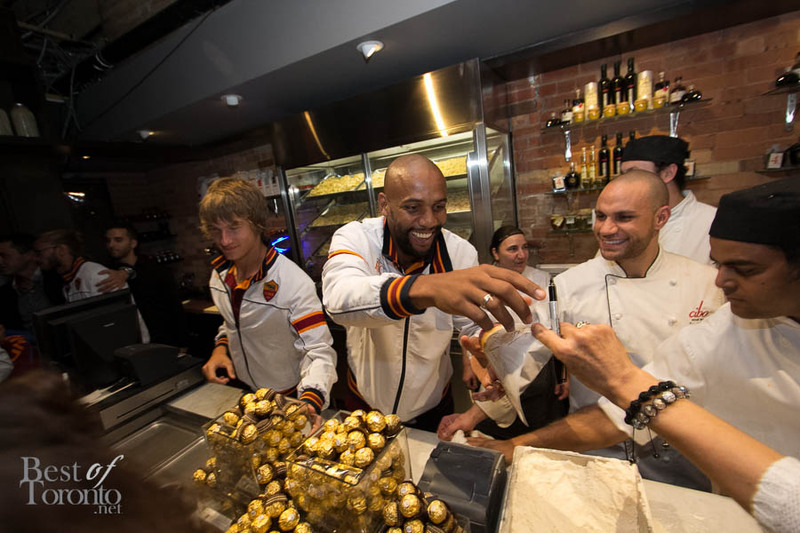 Even outside as AS Roma was getting off their coach bus, fans outside were anxious to get a photo of AS Roma as they headed into Cibo Wine Bar. 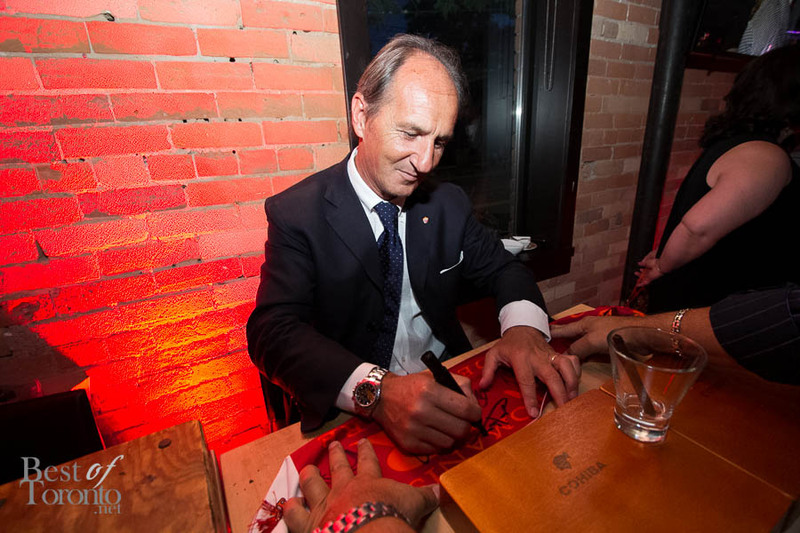 The evening had AS Roma (and Toronto FC) branded cigars, fine wine and Disaronno cocktails enjoyed over gourmet Italian fare. 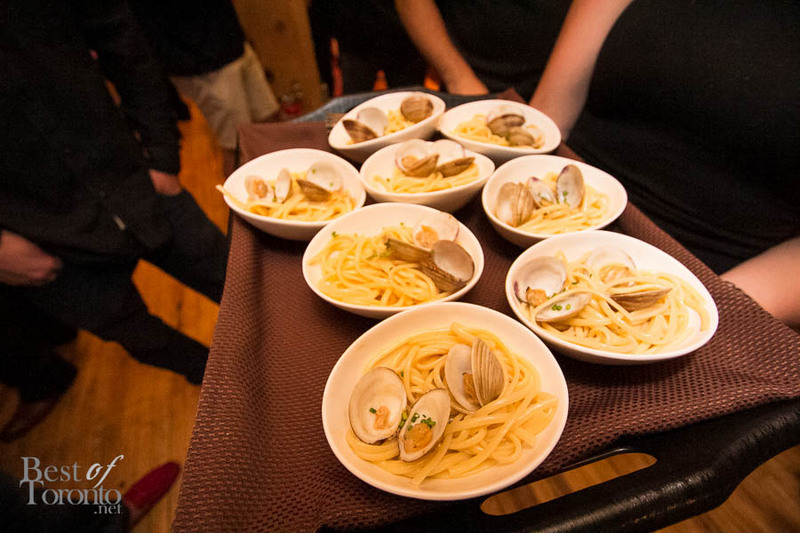 Visit http://www.torontofc.ca/tickets or ticketmaster.ca for ticket info.